Mukesh Ambani, the head of one of the world’s biggest family businesses, gets some sophisticated security detail. Mukesh Ambani and family are placed in Z+ security category in India. The Z+ category is the highest form of security detail anyone can have in the country, including India’s prime minister. We already know that Ambani uses an advanced BMW 7-Series High Security armoured car that costs Rs. 8.5 crore. 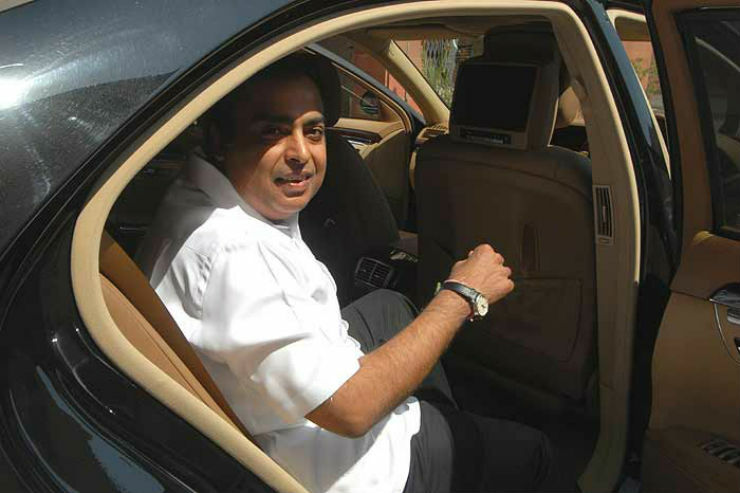 To keep up with his armoured vehicle, Mukesh Ambani’s convoy gets BMW X5 SUVs. In a series of pictures posted on Team-BHP, the X5 SUVs have been captured in camera. 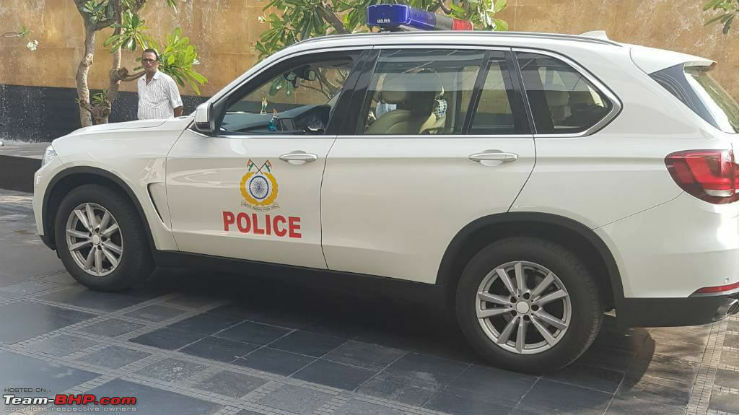 The white X5 also gets the logo of Central Reserve Police Force (CRPF), the brigade who manages the Z+ security detail of Mukesh Ambani and family. It is the most expensive police car used by any Indian police force but wait, it is not the taxpayers who have paid for these vehicles. 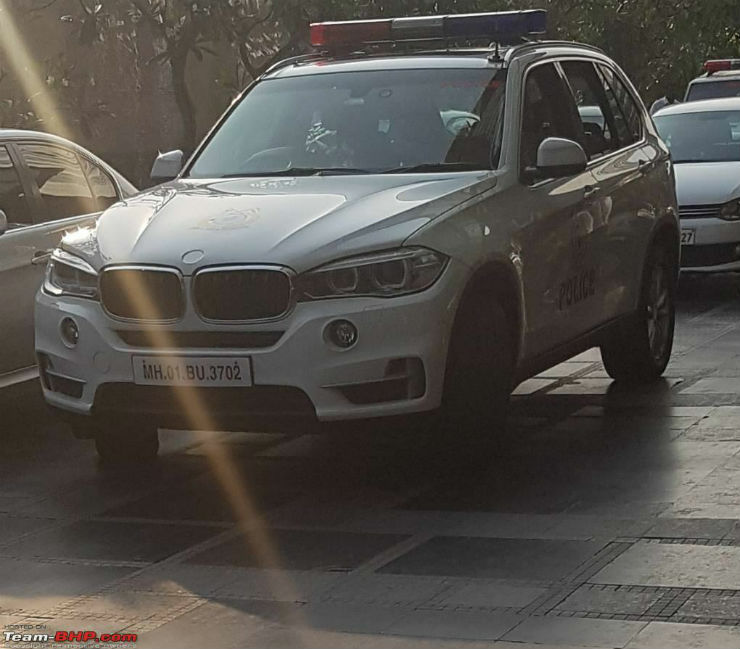 Unlike India’s prime minister and the president, who also get BMW vehicles in their convoys, the X5 belonging to the Ambani’s security is a private car. A little research on the registration number revealed that the vehicle belongs to the Reliance Industries Limited. The BMW monikers have been removed from the vehicle, or they have been stolen just like in the cases of many other luxury vehicles. This is the xDrive 30 variant of the X5. It is the cheapest X5 available in the country but still costs near to Rs. 70 lakh, ex-showroom. The vehicle is powered by a 3.0-litre engine with twin-scroll turbo. The inline 6-cylinder engine generates a maximum of 258 BHP and 560 Nm of torque. The power goes to all the wheel through an 8-speed automatic transmission. The SUV takes only 6.9 seconds to reach 100 km/h from standstill. Mukesh Ambani is undoubtedly one of the most important persons in the country. Given his stature in the business world, such elaborate measures are self-explanatory. The fact that the vehicles are not bought with the public money makes it an even more applauding move. The eyewitness also says that the Ambani convoy has also received the all-new Ford Endeavours but sadly, no pictures of the vehicles are available yet.